"Slice bulb & stem along length and barbecue/grill gently. Mild, creamy flavour with a buttery garlic note." 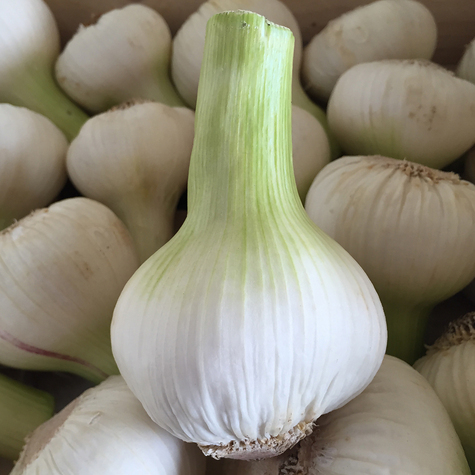 First of the season, large cloves bringing the bouquet and warmth of fresh new season garlic to your cooking. Fresh & zingy, with a warm, rounded flavour.